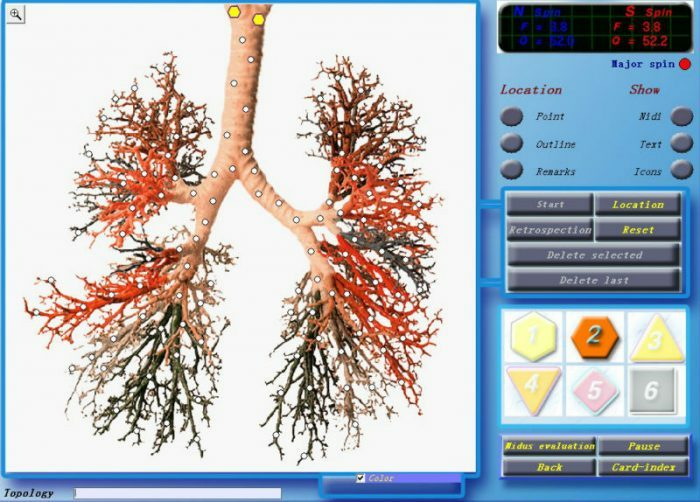 is a new technology designed for both investigation and treatment of the human body. 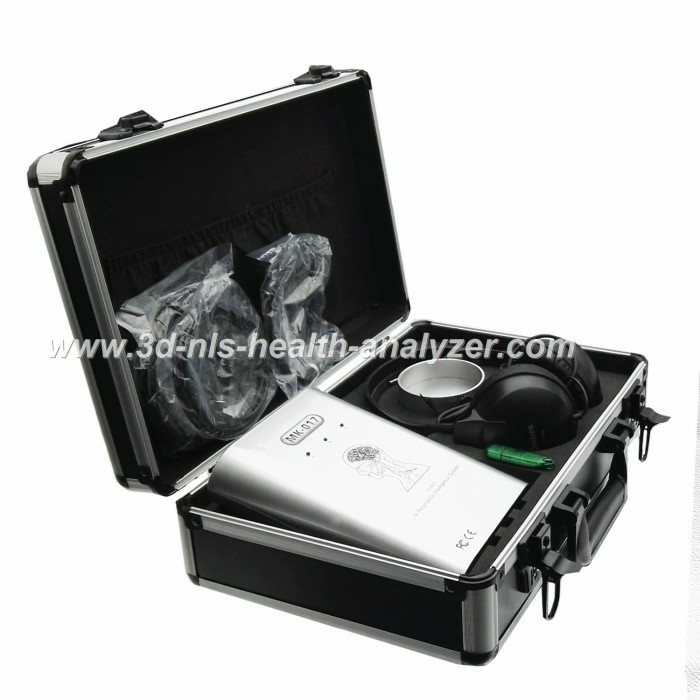 It is the latest and most precise Non Linear Diagnostic System (NLS) that can accurately test the condition of all the body systems and organs right down to the cellular level. 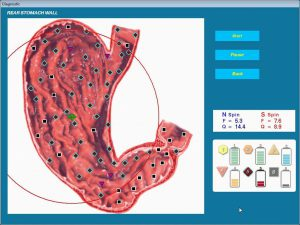 Not only can you see 3D images of the results projected onto a screen, the system can also identify the origins of any disease process, whether it was due to viruses, microbes, fungi, parasites, allergies or other factors. In addition, this remarkable system also has an inbuilt “Repair Treatment” function that sends out harmonizing frequencies to aid in the repair of damaged tissues and organs. Kapj teljes körű képet szervezetedről! Ha szeretnéd tudni, milyen karban vagy, esetleg aggódsz gyermeked egészségéért, ám nem akarod egész napos, hosszas várakozást igénylő vizsgálatoknak kitenni, a fájdalommentes és teljesen veszélytelen, sejtszintű állapotfelmérés igencsak kapóra jöhet számodra. A testi beavatkozás nélkül zajló vizsgálat az egyedülálló Magnetspace 3D elemző készülékkel történik, amely valós időben hajtja végre a szervek és a szervrendszer automatikus elemzését. A különleges készülék használata gyors és könnyű. Nagy pontosságú eredményekkel szolgál, és a betegségek biofizikai hátterének felderítését biztosítja, még mielőtt a tünetek megjelennének. Emellett a MagnetSpace 3D elemző alkalmas a különféle baktériumok, vírusok, gombák, paraziták és egysejtűek jelenlétének feltérképezésére, valamint annak kimutatására, hogy ezek a kórokozók aktívan működnek-e a szervezetben. Sőt, a vizsgált szerven belüli problémák helyének pontos meghatározására is képes. 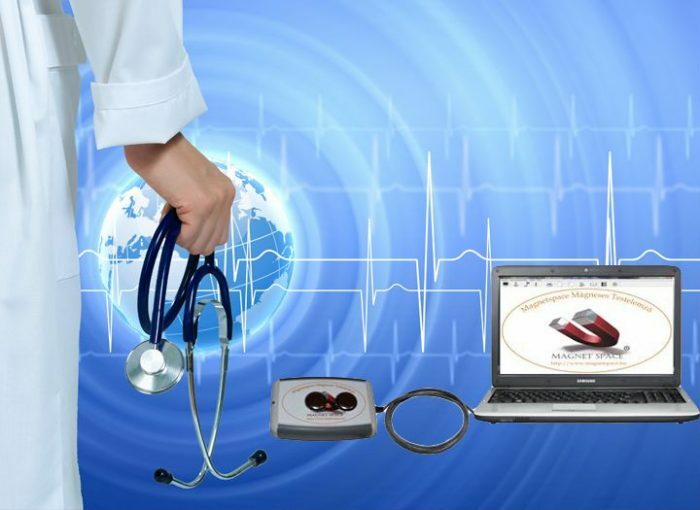 NLS devices are based on the study of magnetic ‘torsion fields’ created within biological bodies. These pioneering devices were first researched and developed in Russia in the early 1990’s by researchers from the Institute of Practical Psychophysics. The basic idea behind the development of this equipment was the hypothesis that the human body’s energy field has an electromagnetic (torsion field) informational framework, capable of responding to external frequency emissions. Based on this understanding, the researchers from the Institute of Practical Psychophysics created the first NLS research equipment allowing them to monitor the physical condition of the body through changes in the wave characteristics of the body’s cells, tissues and organs. Each organ and each cell have their own unique frequency oscillations, which are stored in the computer memory of the NLS device. 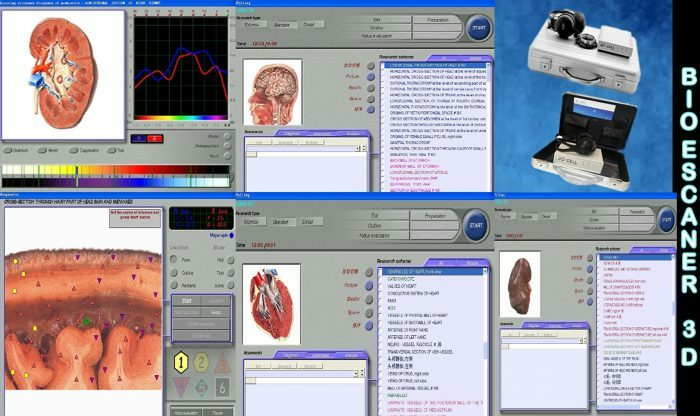 Also stored in the computer memory are the frequency oscillations of all known diseases or pathological processes, as they too, have their unique wave characteristics. 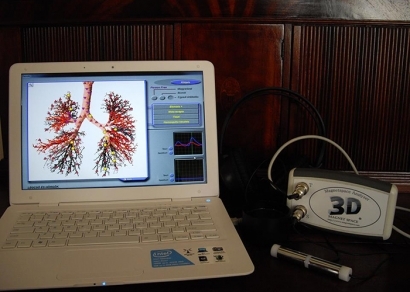 During a test, the NLS device measures all the frequency characteristics of the body’s cells, tissues and organs, and compares them by magnitude of spectral similarity with the computer’s reference processes (i.e. – against healthy and pathologically changed tissues, including infectious agents) to reveal the closest pathological process or a tendency to its development. The Magnetspace 3D (NLS) is based on the spectral analysis of the magnetic torsion fields created by the body’s tissues and organs. These electromagnetic vibrations, which contain all the information about the state of the body’s health is delivered to the brain in frequency format. The Magnetspace 3D device uses a resonance chamber to amplify these frequency vibrations that are picked up by means of special trigger sensors, which are shaped as headphones and placed over the ears. 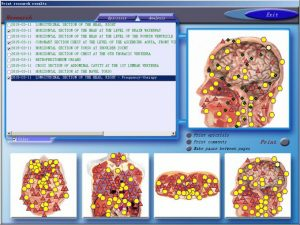 The special software incorporated into this system is able to obtain the incoming data, decode it and display the results on a computer screen in the form of three dimensional (3D) models of the body’s tissues and organs. Varying degrees of tissue and organ dysfunction or damage are highlighted according to their actual condition. All tissues and organs that have been identified as problematic can then be examined in greater detail to reveal the foci of contamination at the required perspective. 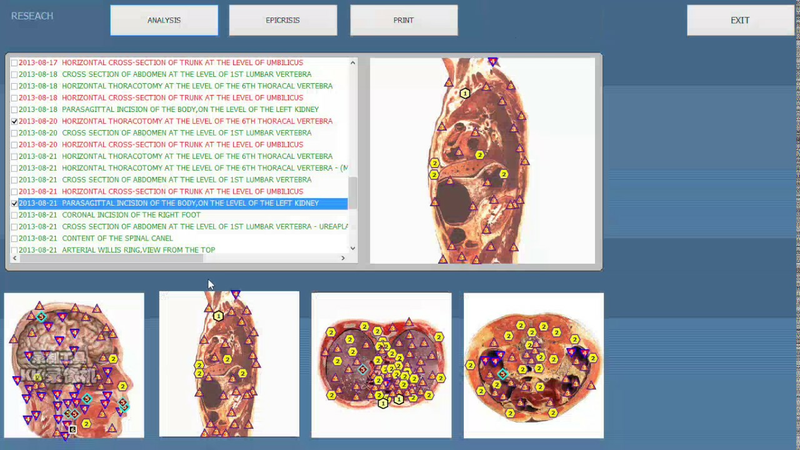 For instance, the Magnetspace 3D can perform a series of vertical and horizontal slices through any tissue or organ, increasing the magnification right down to the cellular level, to obtain a clearer and more detailed picture of the organ in question. With this feature, it can determine how much the body is burdened by various toxins, whether it’s from viral, bacterial, fungal, parasitic or other factors. 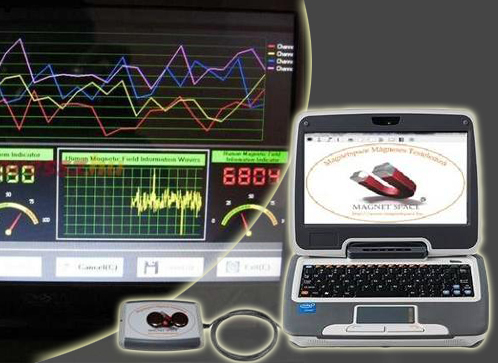 The Magnetspace 3D device also has the capacity to generate a series of electromagnetic harmonizing fields that can correct any aberrant frequency oscillations of stressed or diseased tissue, bringing the biochemical activity of these tissues to a level that corresponds to normal tissue function. In other words it can correct defects and pathologies in organs and body cells.